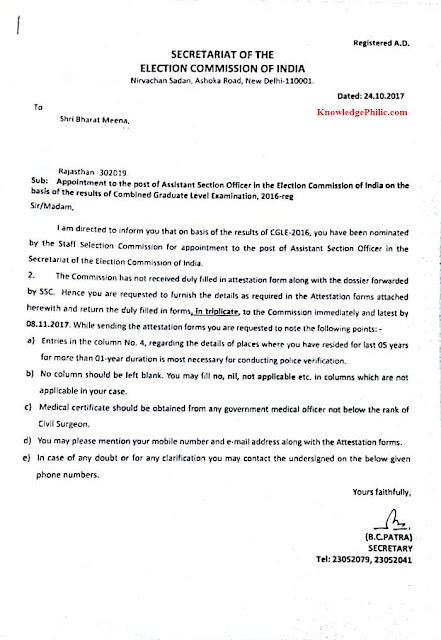 ECI has issued a letter regarding appointment to candidates selected through SSC CGL 2016. You may see the image of appointment letter below. This letter was written by ECI to a candidate instructing him to furnish the information required in Attestation form.